So goodbye Arsene Wenger and thanks for the memories. Except it is not quite yet goodbye. And maybe there is one last great memory to be made by the Frenchman, albeit not at Arsenal. 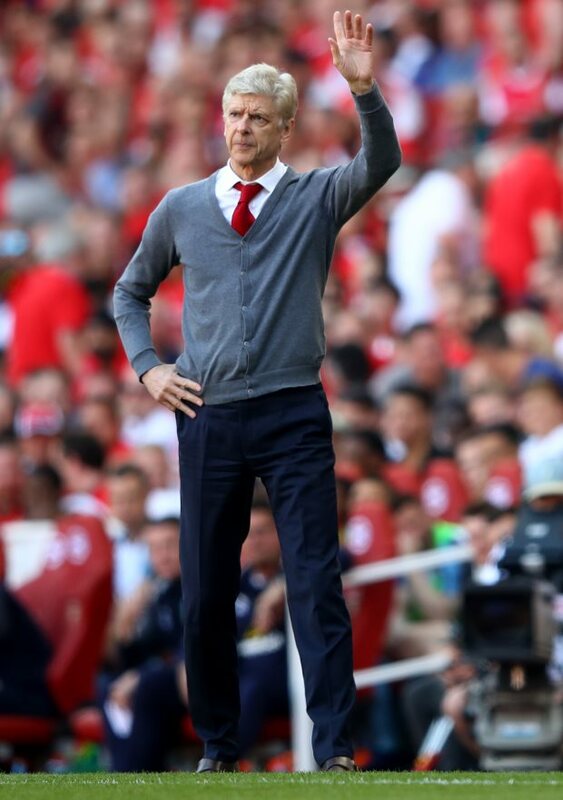 The long serving Arsenal boss announced his departure, yet at the same time he didn’t. Arsenal published a statement for him, confirming his decision to step down from a role he occupied for 22 years, so that he could prepare for the final few games of his ultimately glorious tenure in North London. While the fact that the Frenchman is finally leaving this summer is not so much of a shock in itself, speculation having increased year by year about his future, the timing of the announcement certainly was a surprise. Wenger has clung on for so long now that fans suspected he would eventually have to be dragged out kicking and screaming, perhaps clinging desperately to the statue of Thierry Henry as Raul Sanllehi attempts to haul him out by his legs, flanked by Ivan Gazidis and Sven Mislintat. Wenger’s decision was far from the voluntary, ‘I’m done, thank you and goodbye’ that Sir Alex Ferguson came to five years ago when he decided it was time to leave the helm at Manchester United after an even longer reign of 25 years. The Arsenal boss has been left in a position of checkmate, the knights, castles and bishops are long gone, all that is left is the king trying desperately to find a way to cling to survival. 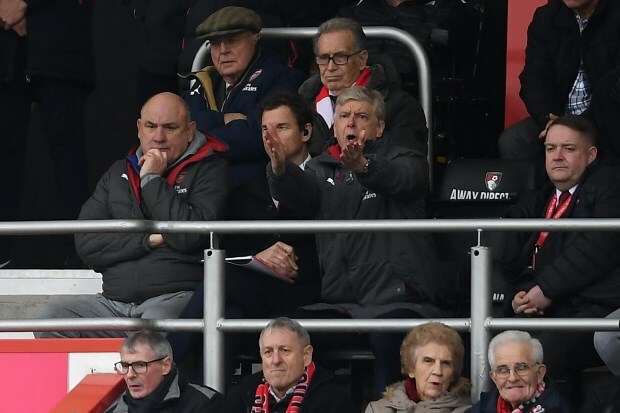 It came to this because Wenger’s incredible influence has waned to the point where his team, the fans and ultimately, the owners, lost faith in his ways, words and wisdom. Arsenal’s position is very different from Manchester United’s when Ferguson left. Manchester United had just won the title and Ferguson still carried an aura that inspired belief in all around him. 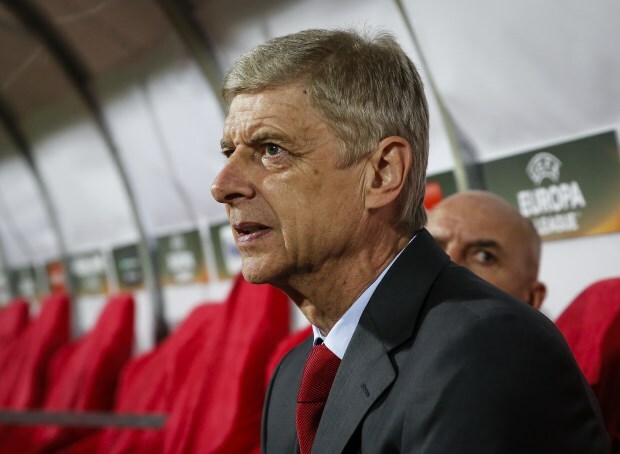 Wenger’s aura has dissipated to almost nothing over the last year, with his side stuttering to a sixth place finish. To put it another way, this is not a poisoned chalice of the sort David Moyes walked into at Old Trafford. This is a great opportunity for someone to come in and attempt to realise the potential of the club, in much the same way that Wenger did when he first arrived in North London 22 years ago. 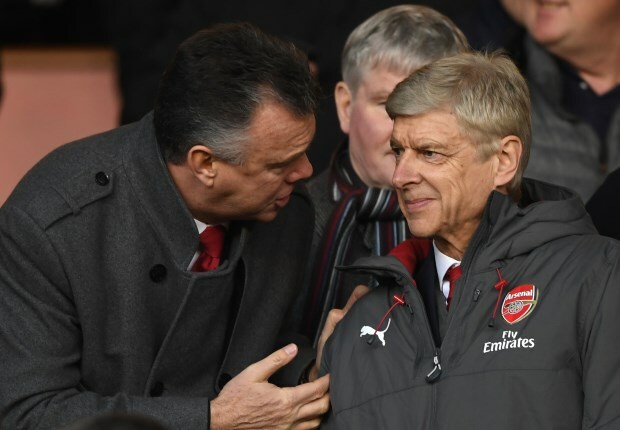 While the club’s hierarchy considered the question that David Dein, their former vice-chairman, once described as ‘unthinkable’, the criticism of his methods in recent years should be put to one side and Wenger’s legacy considered in a fair light. Brian Clough is remembered for taking Nottingham Forest from the second division to European champions in a matter of a few years, not for getting them relegated in his final campaign in 1993. 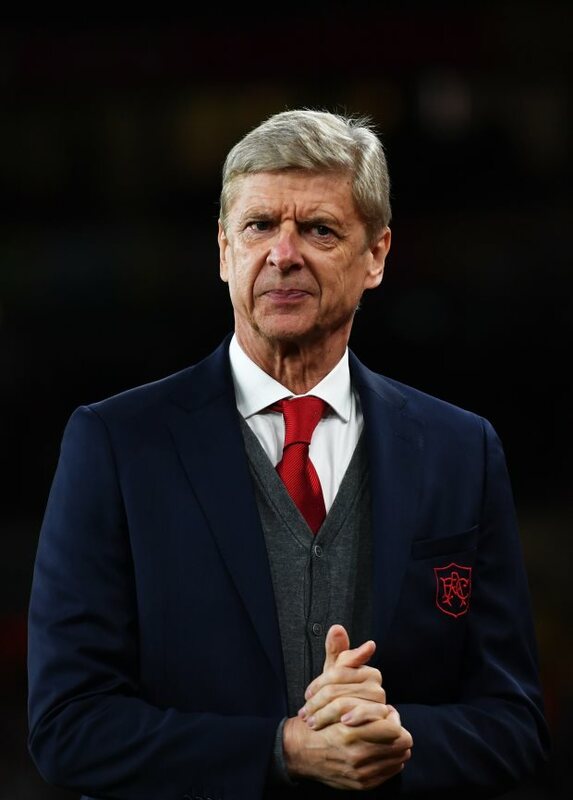 Wenger’s legacy at Arsenal will not be remembered for these final years, when he struggled to replicate his early glories, but for the spellbinding period between 1996 and 2004 when the club lifted three league titles and produced arguably the most exciting football England has seen. What is so intriguing about Wenger’s time is that he arrived when Ferguson had won three of the four previous Premier League titles, and had cemented himself as the league’s pre-eminent manager. While Ferguson will undoubtedly go down in history as the most successful manager the Premier League has or will likely ever see, Wenger’s role is arguably equally as important. He was the most important revolutionary in the Premier League’s history. It is worth re-iterating how left field an appointment Wenger was in 1996. This was a manager who came to the Premier League from his position as coach of Nagoya Grampus 8. While it is true that football has become increasingly globalised since then, and there is much more information available to football nerds everywhere, let’s just repeat something. Nagoya Grampus 8. No one in the country had a clue who their manager was in 1996 and, 22 years later, no one would have a clue who their current coach is now (Yahiro Kazama, by the way). Wenger challenged the whole culture of English football. His success was in no small part a result of the fact that he was culturally more advanced, tactically more astute and psychologically ahead of the field. And he actually had first hand knowledge of lesser known talents across the world of football. Arriving with these advantages over his rivals, it is no wonder he took an already talented team, boasting some fine defenders as well as Dennis Bergkamp and Ian Wright, and turned them into champions. English football had to adapt to Wenger. And ultimately so did Ferguson, who was knocked off his perch by the Frenchman. Ferguson’s genius is how he was able to repeatedly adapt to changes in the sporting landscape and react. But he was forced to do this by Wenger and Arsenal. There was a short period, between 2002 and 2004, when the Gunners were the top team in the country, and one of the best in Europe. Because of the Invincibles it is easily forgotten that in 2002 the club set two remarkable records – not losing a single away league match and scoring in every single league game of the season. The following year Arsenal were the best team for most of the season as well, but a late season collapse gave Manchester United a chance to steal the title, which they took. But then Wenger, who had claimed his team could go an entire campaign unbeaten at the start of that season, saw his dream come to reality the following year. The Invincibles rightfully have a claim to be the single greatest team in English football history. No other team possesses a golden league title – but that was the item commissioned by the other 19 sides who failed to defeat the Gunners in the 2003/04 season, to mark what is a unique achievement (Preston’s undefeated campaign in the 19th century came at a time when they only played 22 games). And then there was the football. The Arsenal team of that season could not be stopped. Their football was so fast, so intelligent, and no one had a solution. The sight of Patrick Vieira, Robert Pires, Thierry Henry and Dennis Bergkamp combining with quick passes and ripping defences to shreds is one which no other side in the Premier League era can match for aesthetic quality. The passes were usually first time and always forward, taking out an opponent and therefore creating space which to exploit. And quite often that resulted in Henry or Pires being able to advance on the goalkeeper and side-foot the ball to a team-mate to tap into an empty net. Such was the simple brilliance of their football that they were able to literally walk the ball into the net, something they would later be criticised for when they no longer had the players to do it, but still tried nonetheless. It is worth remembering that while that was the pinnacle of ‘Wengerball’, the last time Arsenal won the league, there have been many great memories since. There was a near miss in the Champions League final against Barcelona. Four more FA Cup triumphs. Memorable victories in almost all of Europe’s most iconic stadiums – against Real Madrid in the Bernabeu, Bayern Munich in the Allianz Arena, both AC Milan and Inter Milan at the San Siro. As well as an historic if futile win over the great Barcelona team of 2010. There may yet be one last great triumph to come for Wenger personally as he has admitted he cannot walk away from the game. But when he does finally walk away after his final game, what will remain is a legacy of thrilling football, a succession of trophies, great players and memories of Dennis Bergkamp’s strike against Newcastle, Andrei Arshavin pulling his shirt off to reveal a t-shirt with an image of his face as he struck a winning goal against Barcelona, Tony Adams scoring a volley from a Steve Bould chipped pass to seal the first title, and Marc Overmars breaking free to score the winning goal at Old Trafford. Au revoir to the greatest manager in Arsenal’s history, and the greatest revolutionary in English football’s modern history.